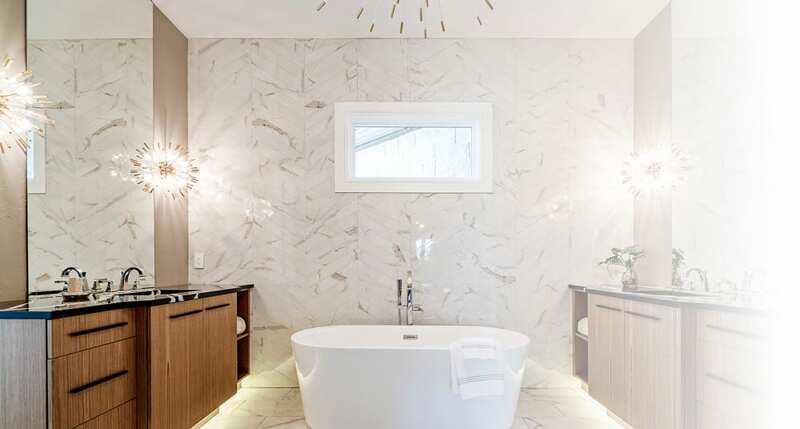 Dreaming of relaxing in a beautiful freestanding soaker tub? Or maybe you would prefer an awesome modern walk-in shower with a massive rain showerhead and floor to ceiling glass panels? Are heated floors a must? 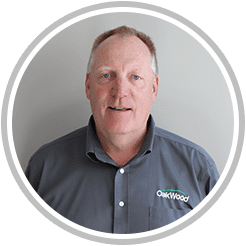 Whatever your vision, with over 60-years of experience, you can trust the OakWood Team to do it right: customized design, high-quality, and on-budget with no “surprise” extra costs, guaranteed. All work is done by specialized OakWood approved bathroom experts. Work and materials are backed by an industry leading warranty. 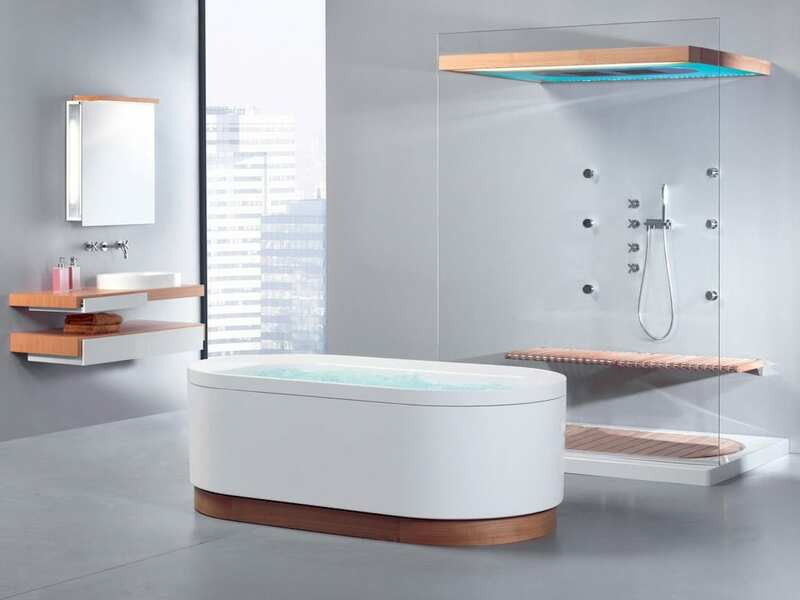 OakWood has employees, suppliers and trade partners with an incredible range of styles and materials available to support your bathroom renovation. Many of these products can be seen at the OakWood Design Centre and showroom.Book a consult and tour to see for yourself! 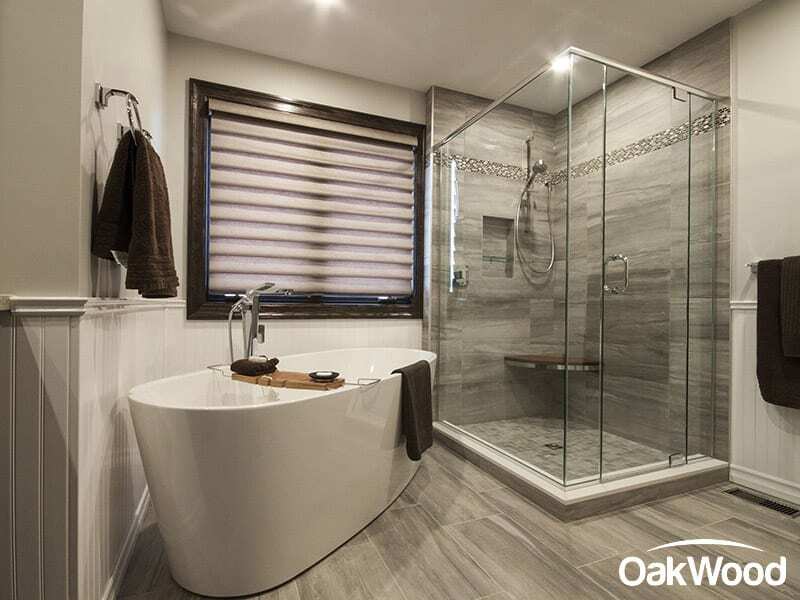 With OakWood you get a one-stop bathroom solution. 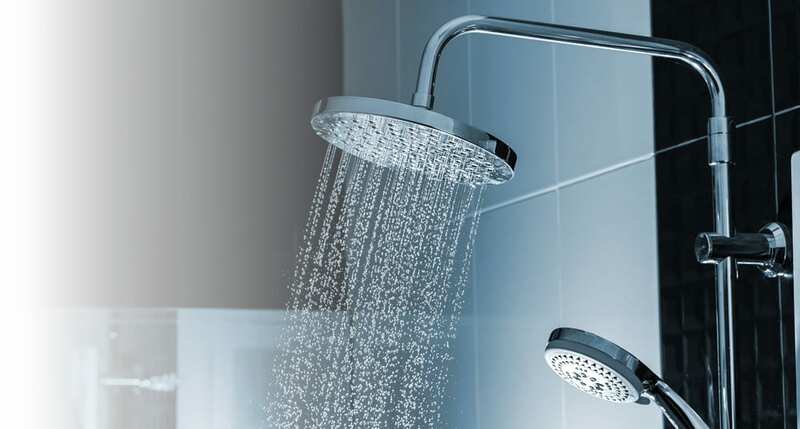 See top performance brands including Grohe, Kohler, Moen, Delta, Kraus and many others. Single-handle, two-handle, and hands-free options with many different finishes depending on the look you want: oil-rubbed bronze, chrome, stainless steel, polished brass, copper and many others. Pedestal. Top mount. Undermount. Wall mounted. Trough. Rectangle. Oval. 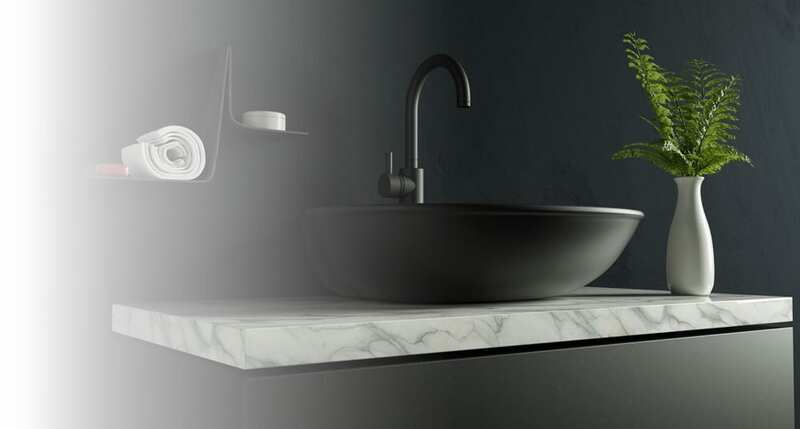 There are many styles and material options including ceramic, enameled cast iron, tempered glass, stone, and many others all with various colour options. Talk to our architectural design consultants for pros and cons of each. 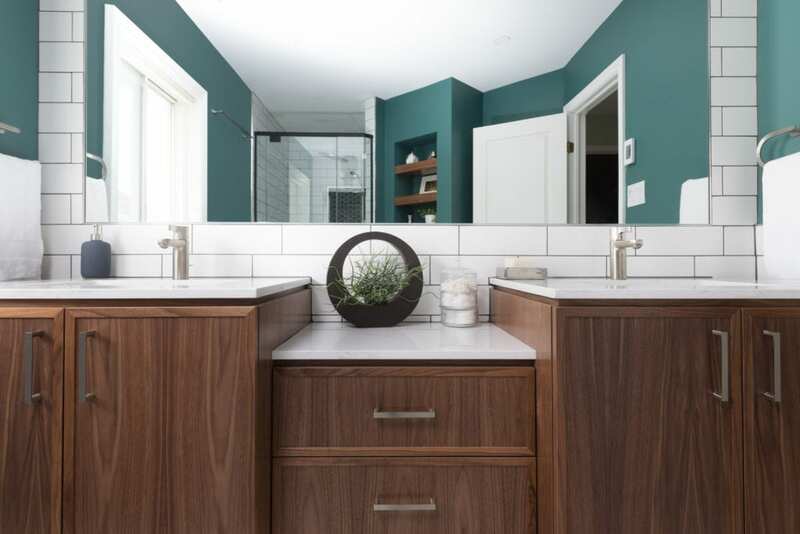 You’ll want a quality countertop to withstand soap, water, and cosmetics while looking terrific. Top choices include Silestone, Granite, and Marble. 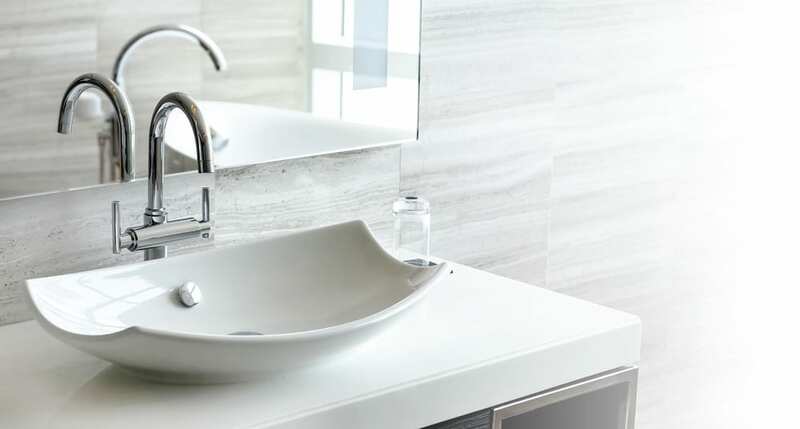 Many other solid surfaces are also available including tile, quartz, laminate, composite, and even concrete! Environmentally-friendly eco products with 75 percent recycled content are also available. Ask our designers for examples. 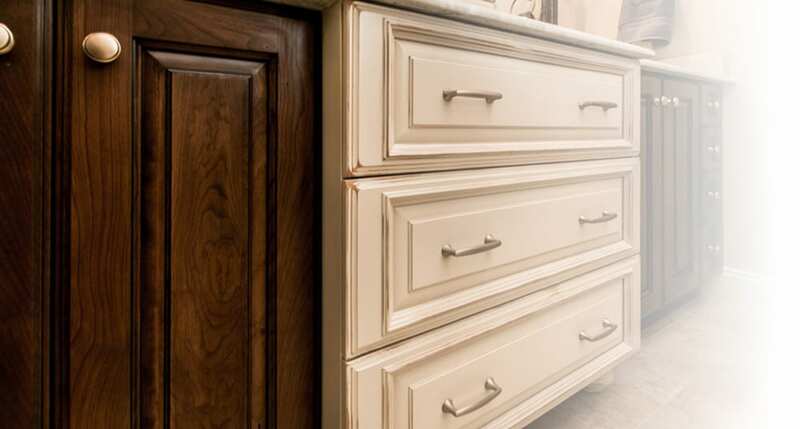 Take advantage of OakWood’s exclusive production line inside Cabico Manufacturing to get an affordable cabinet solution made to measure for your beautiful new bathroom.Choose from over 100 durable finishes, many different door styles, configurations, and material options Whatever you want, nothing is standard. Everything is customized. 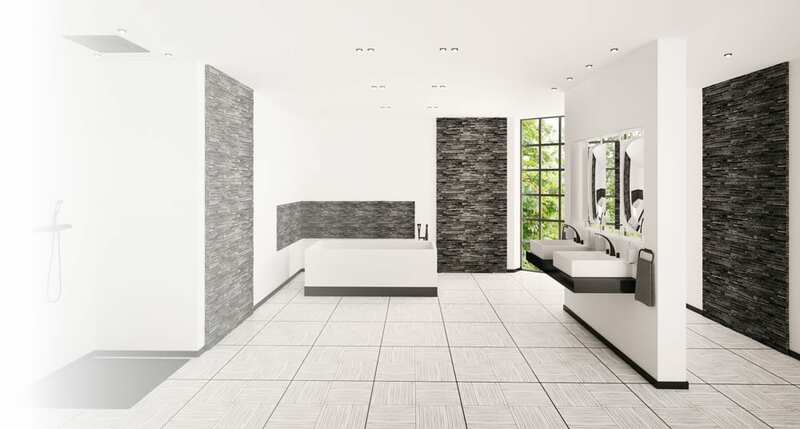 Waterproof materials like ceramic or tile are your best bet. Avoid carpet or hardwood. 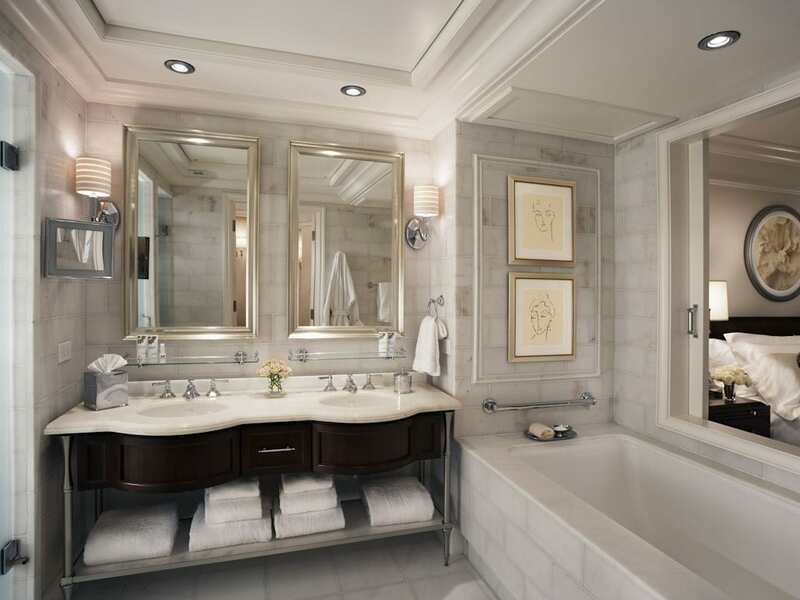 Natural stone such as marble and granite are also good choices but can be slippery when wet. Vinyl, linoleum, and laminate look great and are cost effective too. As you would expect, each type of material has pros and cons that our Design Consultants can share to help you make the best decision. Chances are you’ll want a well-lite bathroom for safety and task purposes with as few shadows as possible—particularly when brushing teeth! 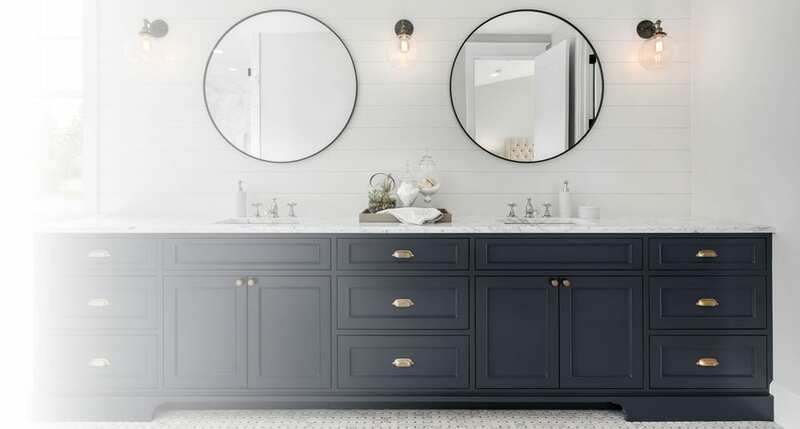 Let us help you plan and choose appropriate ceiling, wall lights or sconces, and vanity lights to create the look and feel you want. Night lights might be practical too. 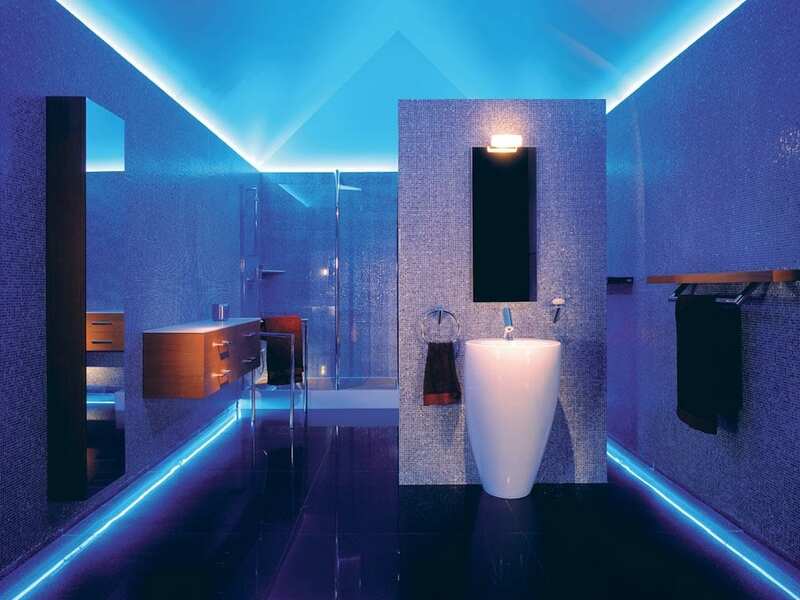 We can show you options that will transform your bathroom vision and experience. Ask our architectural designers to see our fully functioning steam shower using Cipollino marble that’s slab mitered to ensure no joints are visible and complete with state of-the-art digitally controlled, multiple shower heads!